Ashley had surgery and PT, eventually recovered, and returned to work. Even now, years later, she still tenses when a patient shouts or moves suddenly. Nurses like Ashley who have been the victim of patient on nurse violence suffer a feeling of betrayal, hurt by the very people they are helping. Along with domestic and community violence, violence in the workplace is increasingly more common. Workplace violence is any act of violence against persons or property, or other inappropriate, disruptive behavior that causes alarm, fear, or concern for one's personal safety at the work site. Any of these behaviors can leave nurses feeling unsafe. Type I: Criminal intent where perpetrator is not a patient or employee and has no legitimate business at the work site. For example, a shooting in the parking lot by a random passerby. Type 2: Most common. Patient on nurse violence. Workplace violence directed at employees by patients, clients, inmates or visitors. Most frequent in behavioral and ED settings. Emergency room nurses are especially vulnerable as are nurses in L&D where emotions run high. Working with people in distress is a risk factor. Behavioral units and waiting rooms are boiler pots for escalating emotions. Type 3: Lateral or worker on worker violence. Includes doctor on nurse violence and violence against an employee by another employee, supervisor or manager. Type 4: Personal relationship with an employee. This is where, for example, the boyfriend of a nurse shows up at her work and threatens her and her co-workers. There is a long history of nurses tolerating abuse from physicians. The intentional use of power is a form of abuse. Violence of this manner is so pervasive and long standing that it is considered a part of the job. Even though a nurse would immediately be fired for the same behavior that is tolerated from some physicians, there is a reluctance to address physician misbehavior when the physician generates revenue for the hospital. Hospitals are slow to protect workers from occupational harm and harbor a culture that focuses more on patient satisfaction than worker safety. Often times industries that are largely female are assumed to be safe. Even the ANA in its position statement on workplace violence says “nurses must no longer tolerate violence of any kind from any source”, acknowledging that tolerance of violence has been an issue. Minimizing belittles the victim’s experience. “You are just expected to deal with it”. Spitting, slapping, kicking are all minimized if no one gets seriously hurt. Accepting physical or emotional abuse is degrading and affects the victim’s sense of dignity. There is a belief that patients are not responsible for their behavior. Nurses excuse patients depending on perceived intent. If the violence was not intended, the nurse will not report the incident. “They didn’t really mean it” is often a reason given for not reporting. Some nurses fear victim blaming and in most facilities, reporting procedures are unnecessarily complicated and time consuming. The truth is that ignoring or excusing workplace violence perpetuates the problem and workplace violence can lead to serious medical errors. While violence can happen anywhere, a nurse working in a facility with several of these risk factors is more likely to encounter violence. Creating a culture of safety means rejecting workplace violence in all forms. Workplace violence programs are required in 7 states, and assaulting a nurse is punishable in 34 states. Cal/OSHA in California recently enacted regulations and standards for workplace violence in healthcare and it is believed that the national OSHA will soon follow suit. We can all agree that violence in the workplace is far too high. 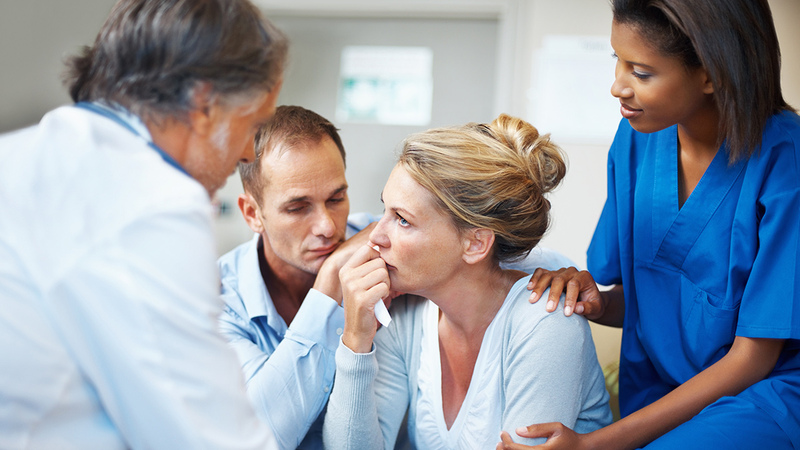 Several nursing organizations, including AORN and the ENA, support increased legislation around workplace violence and nurse safety. The ANA has a position statement calling against bullying and incivility. Individually, nurses must take responsibility for their own safety. Situational awareness is important. Be aware of the exits in whatever room you’re in and learn de-escalating techniques. Report all acts of violence. It’s time for nurses to help create a culture of respect and safety by respecting ourselves and refusing to tolerate workplace violence. Take this opportunity to explore more domestic violence by taking this CE course (worth 3 CE hours).